Anybody who knows me knows I am happy to try just about anything when it comes to a cheat meal. By cheat I mean a slimming world or diet version of something generally delicious and calorific. It could be pizza, pasties, pastries, burgers and so on. Now, nobody can make a perfect slimming world pizza for less than 20 syns, it just doesn’t exist unless you are only going to eat the crumbs. So when I started to see people using chicken breasts as bases and pitta breads as bases I tried them. They were okay, not great but then I saw the cauliflower base and it sounded like it would be delicious and crispy. THINK AGAIN LUCY! 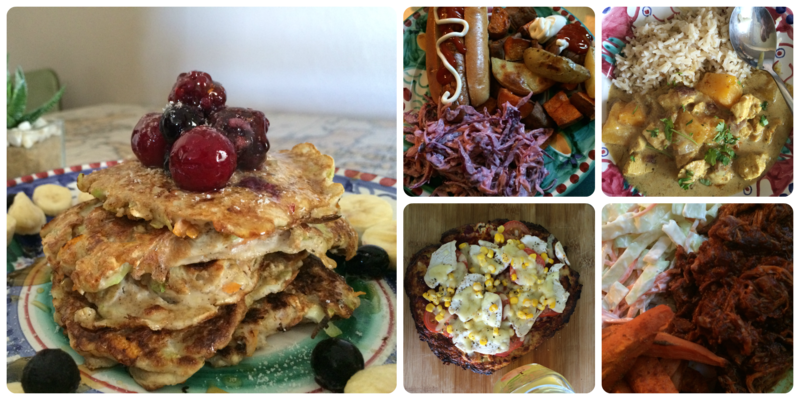 So here are a few meals I have tried and adapted to make Slimming World friendly and how well they worked out. I’ve never liked spicy food and so when it came to curry I always ate Korma. However once I started SW I begun to realise that almost every korma was packed with cream and coconut cream so almost out-of-bounds when it came to making it low syns. So, being me, I just have to find an alternative and one came along pretty quickly. I think (don’t quote me) in the SW magazine for June there is an amazing chicken and mango curry recipe. It’s creamy and warm and doesn’t blow your head off! I’ve made it a few times and each time it gets better and better. If I could give it more than 10/10 I would. I hope this helps! I will be posting the recipes here and there (but most you can find through google).